Plan ahead and take the time to create something really special for your home and family this year. 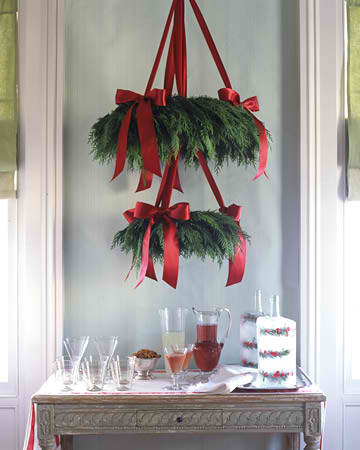 Check out these 21 Stylish Christmas Craft Ideas. 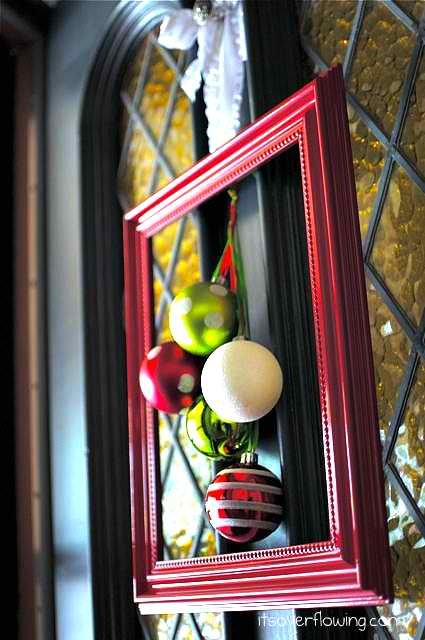 This is one of my favorite Christmas craft ideas. A photo Christmas ornament by scrapper girl. 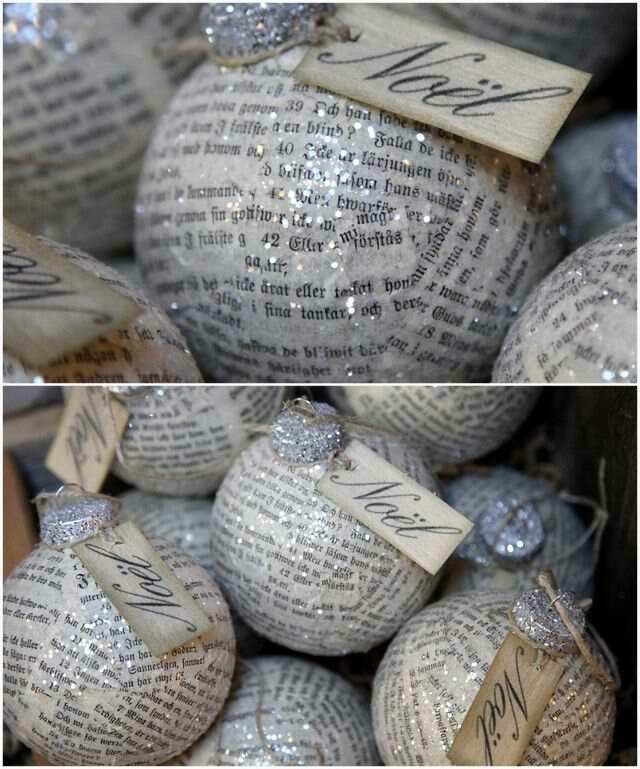 I think my kids would love making some of these homemade ornaments. You can find info on how to make your own photostrips here. Altered Vintage Cookie Cutter Ornaments by Becky Shander. Make your own Cookie Cutter Ornaments. 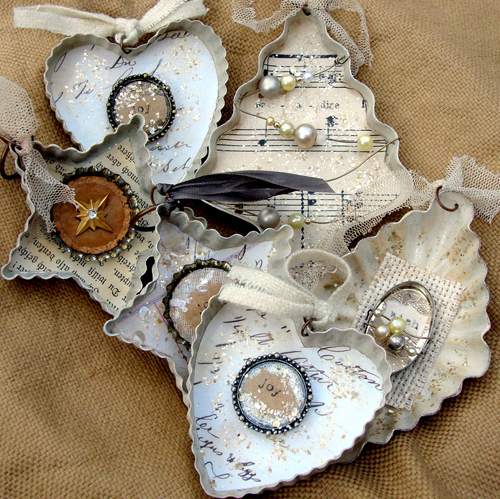 Cut out music or book pages, glue in and add some vintage bling! 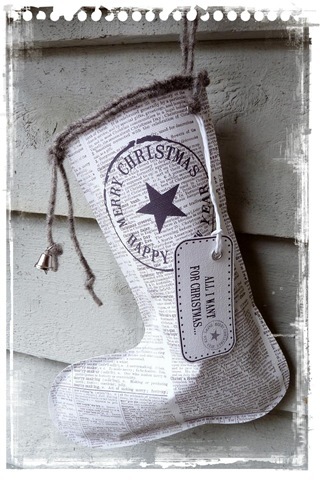 Christmas boots made with the print of an English dictionary of the page where Christmas is by La Flotte. Clear, glass ornaments decoupaged with vintage German papers, sprinkled with glass glitter and tied with “Noel” made on a printer. 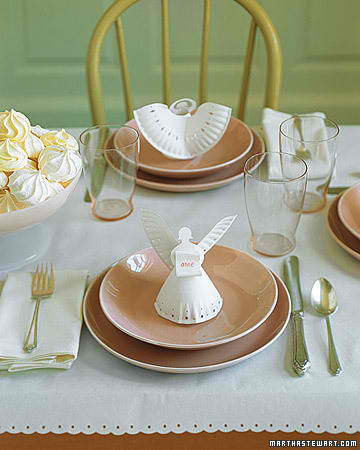 Perfect for a children’s table, these demure angels are super easy to make with just a 6-inch plain paper plate, our pattern, a paper punch, and a utility knife. Forgo the traditional red-and-green holiday palette and opt for bold, sophisticated colors this year. For a dramatic look, spray-paint old ornaments in fashion-forward colors like bronze, purple and brown then display your handiwork on an all-white tree. Beautiful handmade christmas ornaments. 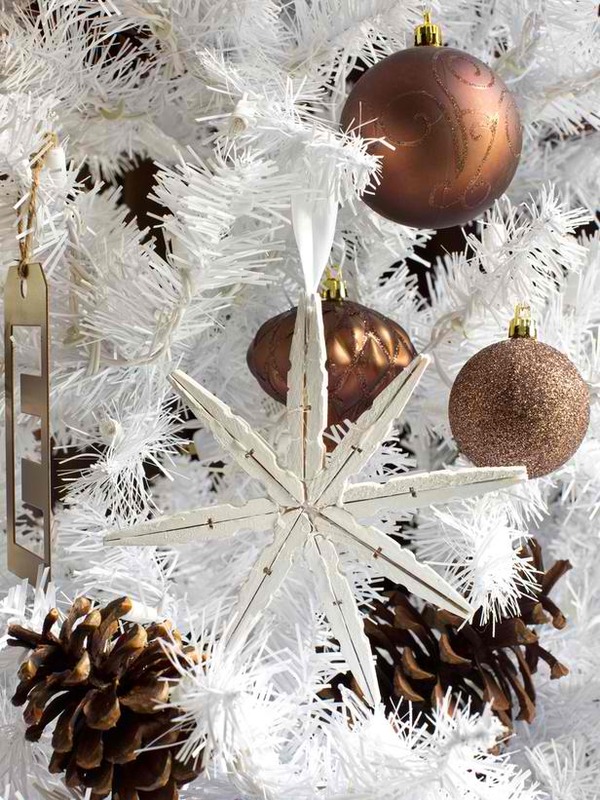 In just a few steps, turn wooden clothespins into oversized snowflake tree ornaments. This is a great project for older children to tackle on their own or for small kids with a little help from a crafty adult. 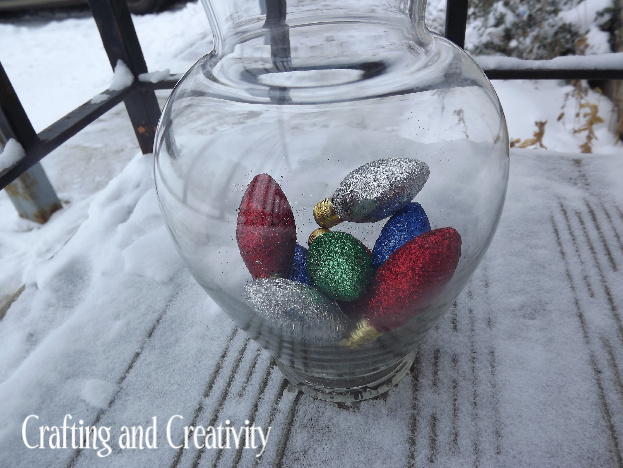 If you have extra glass jars lying around, incorporate them into your holiday decor. 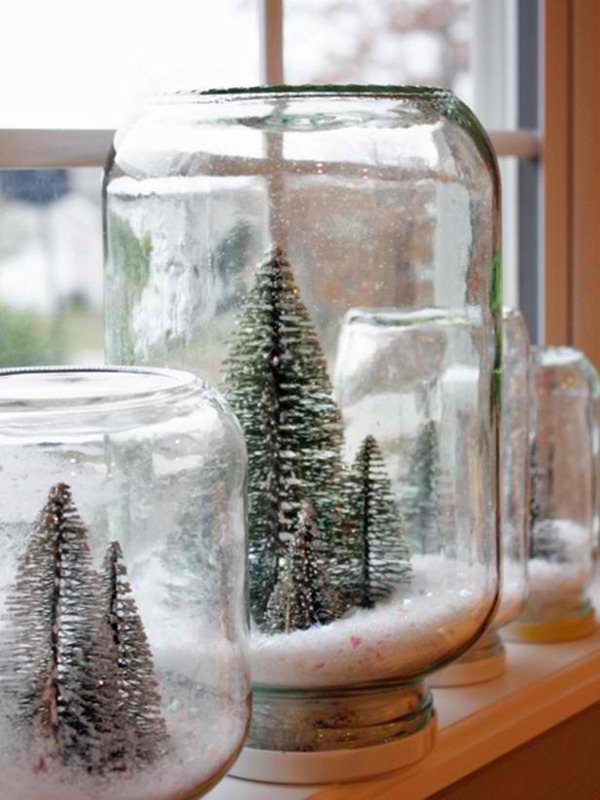 Michelle created waterless snow globes by hot-gluing small Christmas trees to the jars’ lids, pouring fake snow in the jar and screwing on the lids for an instant Christmas scene snow globe. 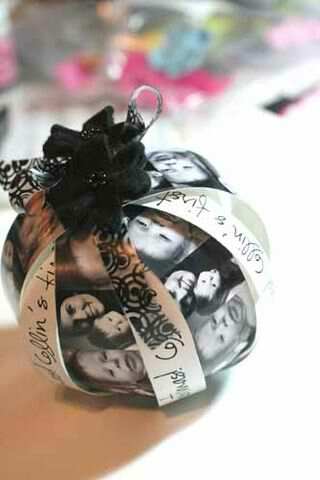 DIY photo Christmas ornament. This is such a sweet and sentimental project that anyone can do it. 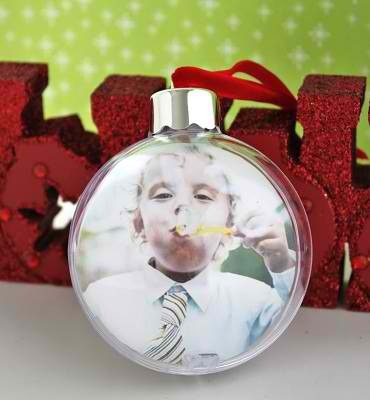 It’s a greatChristmas decoration idea for your tree, and can be preserved and reused for years to come! You can find info on how to make it on celebrations. 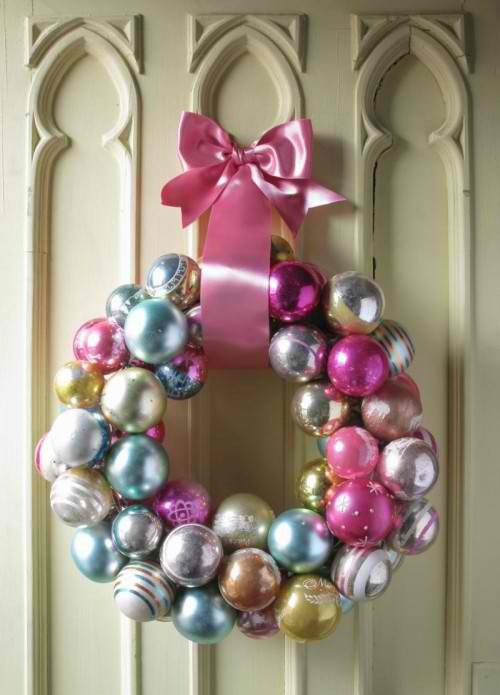 It’s always great when you can make such things as Christmas wreaths without spending money on them. For example, you can make one from round ornaments that you haven’t used for your Christmas tree. Here’s how to make a Christmas wreath from round tree ornaments by Shelterness. 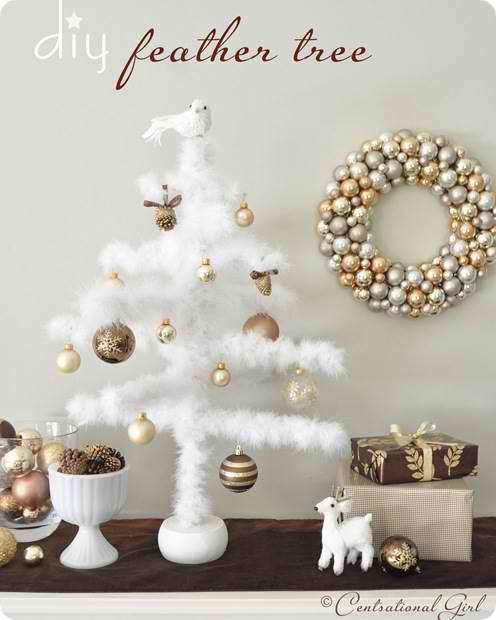 an ornament tree made from dowel rods and marabou feather boas by centsational girl. Dining chair decoration. 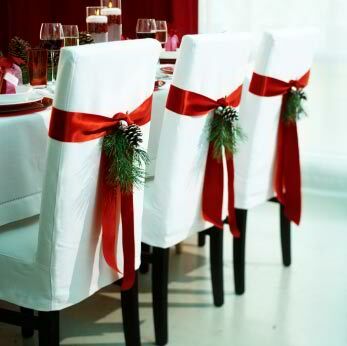 You could make this look your own by adding fine gold ribbon as well, spraying the cone gold or silver, use little tree decorations instead of the cones like bells or balls, stars or angels, or if you want to make it understated simply tie the ribbon into a bow at the back of the chair. Pinecone Decor – Holiday Decorations using Pinecones. 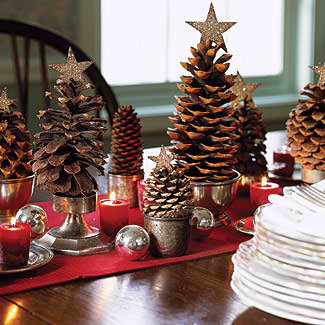 Placed in silver bowls, cups, and candlesticks, pinecones become a tabletop forest. Crown each one with a glitter-covered cardboard star. Glitter Christmas lights by Crafting and Creativity. This is a great way to put any old, burned out bulbs from your Christmas lights to use. 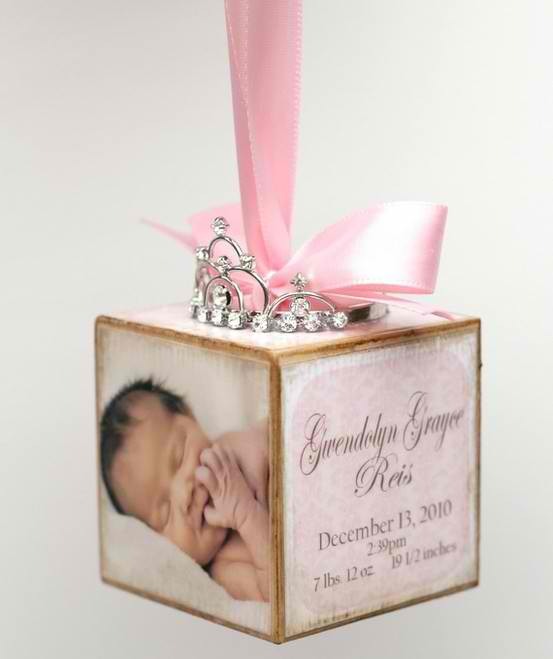 So sweet idea by oh happy day! 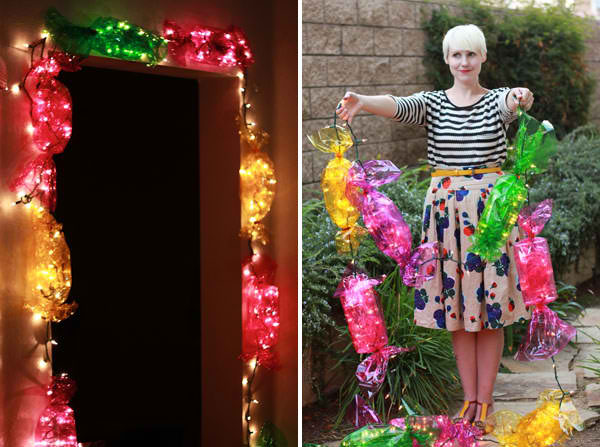 You can find info on how to make DIY candy lights here. Use spray paint to add a shimmery touch to pinecones, acorns, or round glass ornaments. 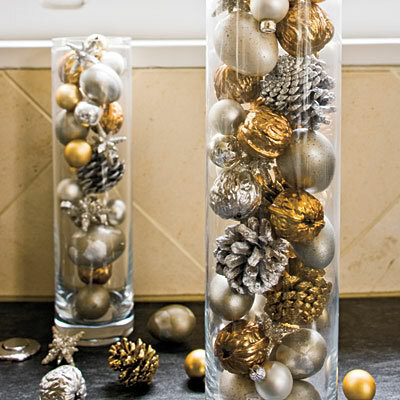 Displayed en masse in tall glass vases, they become instant and easy Christmas accents. 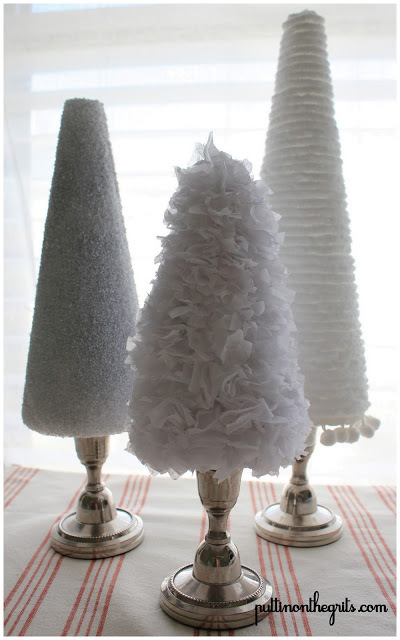 DIY Christmas Trees by Puttin’ on the G.R.I.T.S.. I am happy to share with you the steps to create this plain yet distinctive rustic macramé ornament with spectacular effects all by yourself. Wow! What wonderful, fabulous, amazing gift ideas. I’m in awe! Excellent xmas craft projects! I LIKE THEM ALL! I love these idea’s on crafts and decorating. LOVE ALL THESE THINGS, CUTE, SPECIAL, GREAT, AWESOME!!!!!!!!!! Loving the new modern look!